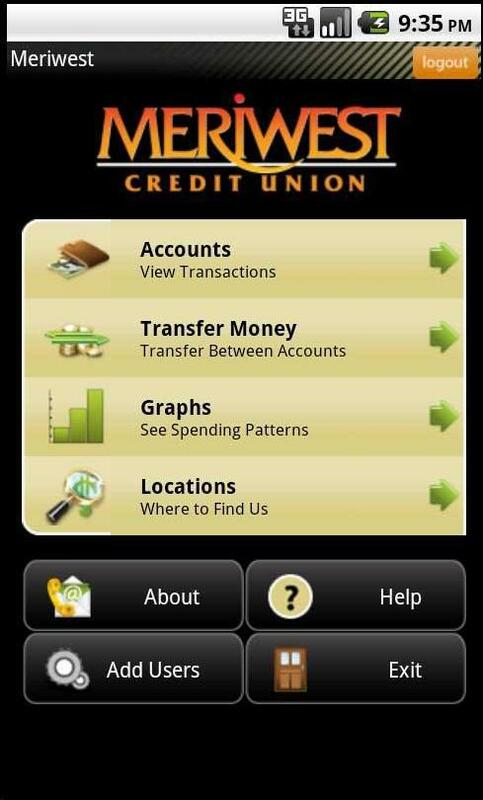 San Jose credit union says more than 2,500 downloads in first four weeks. This is the opening page displayed after signing in to the Android mobile banking app from Meriwest Credit Union. The $1.1 billion Meriwest Credit Union said the new version of its mobile banking app for iPhones and Androids was downloaded more than 2,500 times in the first four weeks after it was released on Oct. 14.